I recently see the problem that pictures imported into a library are shown in the "all pictures" section of the library, but the related folder is not visible in the folders list. When I look into the finder (Mac OS), I see that the folder is at the right place. This correct folder is also shown when I click on "Show image in finder", I just cannot see the folder in the library folder list. It works for all folders I created before mid of April, all folders created during imports after that are no more shown in the library browser. There are no filters activated.Any suggestion for solving this problem? Right-click the photo in Grid, and select "Go to Folder in Library". This will bring you to the folder that contains that file, and it will be highlighted in the Folders panel on the left. Most likely it's in a different part of the hierarchy than you expected. Also, click the Library menu and make sure Show Folders In Subfolders is selected. If it's the folders themselves missing though, I'm not so sure that'll help. Could your drive be listed as 2 different drives? Did you perhaps rename the drive or change the capitalization of the drive name around mid-April? That's been known to cause the same drive to be listed as separate drives, making folders appear to have gone missing from the usual drive. Indeed--typo. It's photos in subfolders, but I thought it might be helpful. If the "Go to Folder in Library" context menu entry does not show the corresponding folder in the library folder hierarchy, your catalogue might be corrupt. In this case, you could try to click on "All Photographs" and check whether you can spot one or more images in the grid view whose thumbnails never update (i.e., stay gray). Images shot before your "April" boundary should be good candidates, but make sure you check everywhere. Choosing "Show in Explorer" from the context menu of the problematic images, should result in an error message. 1. Export all images, except the problematic ones, to a new catalogue (Use "Export Catalog"). Simply select all images and deselect the problematic ones. 2. "remove" (not "delete") the problematic images from the catalogue. You might then see the missing subfolders again (perhaps after a restart). I had the same problem once and was able to solve it using version "1" of the above described alternatives. Not sure I ever tried version "2". My bug report was marked as "solved" which was partly OK since folder synchronisation apparently works with non-corrupt catalogues. However, there seems to be a bug somewhere that sometimes causes images to lose their "rootFolder" reference. Such corrupted catalogues -- which are not detected to be faulty by catalogue checks -- then cause subfolders to disappear and synchronisation to fail. I hope the team is aware of the fact that there is something to clean up somewhere. Checked all the replies, none of these actually helped me solve the problem. Can you post a screenshot of your Folders panel before and after restart please Steffan? Perhaps we can spot the problem more easily that way. i have the same problem. After import the folder is visible in the folderlist. After restart the folder disappears. By click on the Mainfolder i can see all images including the pictures of the missing folder. I hope to fix it by installing 3.6RC but no effect. If your new folder is not visible in the Lightroom "Library" (left panel, navigator), but is visible in the Mac Finder-- locate the PARENT folder in the Lightroom "Library", right-click and select "synchronize folder". Select the missing photos, click Import, and the previously non-visible sub-folder will appear and the photos you selected will also appear in that previously non-visible subfolder. Hope this helps! I've had this exact problem recently. (may 2016) I lost my most recent edits and sub-folders. I've been in a chat with Adobe help for an hour and they can't help me. Not even Adobe can help on this mystery. Rachel, can you give us more details about your system, Lightroom version, and a detailed description of what has happened? I have a similar problem. When I used to import pictures from my SD card, I would designate a subfolder for it to import to. Lightroom would import the folders and place them in the right place in my Finder and the folder would also show up in my Lightroom Library in the correct place. Recently, I do an import to a subfolder, and the photos are imported correctly to the Finder, but the subfolder doesn't show up at all in my Library Module. I have to do another Import from the Finder folder to current location for it to show up in the Library. If I forget to do that, (because I'm importing multiple events from the same SD Card), then those folders never appear. Is there something I'm doing wrong? Amy, go to Help>System Info... and get us your currently installed Lightroom version. Could you point me to the answer for the issue here. Somehow Lightroom corrected itself one day and all has been well for most of the year. But now I'm back to the same problem. I recently moved some of my folders to a new external hard drive and told Lightroom to Update Folder Location and to Show Parent Folder for everything that was appearing. However, I'm now having the issue again of invisible folders that are not showing up in the Library Module, but when I go to my Finder, they are all there correctly. I've tried Synchronizing Folder several times, closed and rebooted Lightroom, but they are still missing. 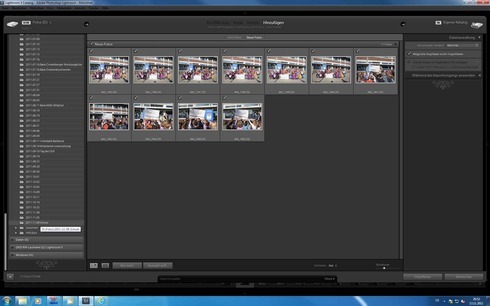 I am on Lightroom Photoshop Version 6 on Mac OS X. Is there a workaround so I can see my missing folders? Thank you!! Dave, thank you! A folder disappeared on me and the solution did the trick. Click on the parent folder and then synchronise folder. Sub folders will appear. I had the same issue with my Lightroom Classic CC. 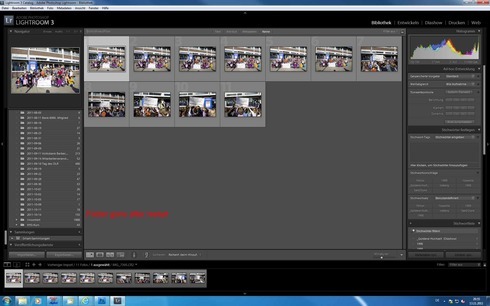 I always use the Lightroom to transfer my photos from my camera card to my hard drive, but some folders did not/do not appear in Lightroom Folders in left the panel even though they are physically in the destination folder where I chose during the import. Sometime they show up in the "Previous Import" in the Catalog some times not. If not, I will restart my Lightroom then they appear in Previous Import but, still the Folder is not in the Folders list... The photos are in the Lightroom when I checked the All Photographs in the Catalog. Struggling and searching web for help for a long time and sometime erasing them and importing them again was an annoying task. Sometimes, I could not do it since I had erased them from my CF or SD cards and did not have them there. So, It was very inconvenient. 2- I go to my Hard Drive (not through Lightroom) and physically move the folder to somewhere else. 4- Right Click and select "Show In Finder" option. Of course it shows the previous location. 5- Click the "Locate" option and navigate to find the folder in its new location where I just moved it and find the searched photo and SELCT it. 6 -THE PROBLEM SOLVED!!! 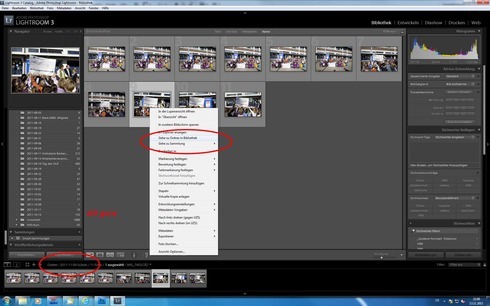 Your folder appears in the folder list and you can move folder back with Lightroom wherever you wish. I know it is a bit of work, but I found it the best option so far. If someone has easier way or something to prevent this from happening in a first place, please let me know. I may get into the habit of downloading my photos directly to my hard drive (Not Using Lightroom) then importing them to Lightroom Catalog. This I think will prevent that problem from happening. But, you need to create a folder each time which I liked the convenience of the automatic date format file name from Lightroom. That sounds very odd Mo. Thanks for sharing your solution, but it sounds like something we should be finding the cause of. Next time it happens, could you grab a bunch of screenshots for us so we can figure out what's up for you please? It is been few mounts that this problem is happening to me often!!! It is very annoying but as I explained above, I just follow those 6 step procedure to get it solved. But, I will download my images directly to my hard drive (not using Lightroom) then import the photos to Lightroom catalog. 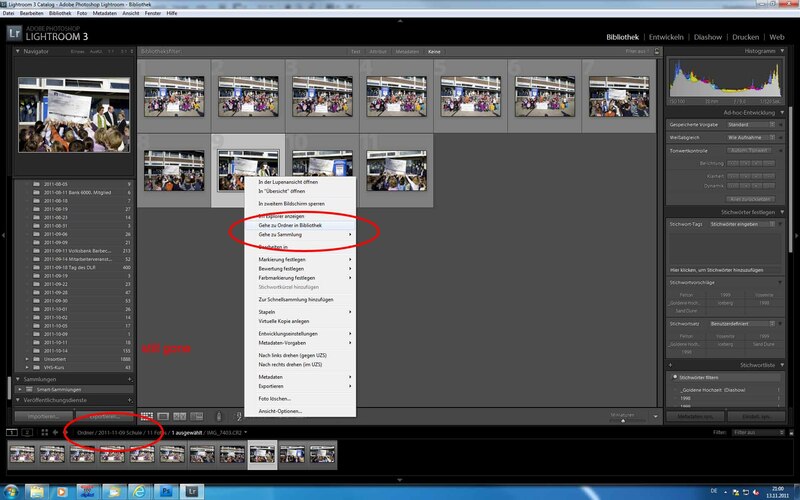 As a habit I am still using Lightroom "import phots and videos" option to import and tag my images. But, I should forget this option from now on I guess since I have not found a real solution for my problem. Also thinking of earning Lightroom from my laptop and installing it again might help!? Worth a try Mo, there's nothing to lose. If that doesn't do the trick though, post a series of screenshots, then we can start figuring out why it's happening for you. I am having the same problem. I recently added few subfolders, but I didn't see them in Library Folders. I did Rt Click -> Synchronize Folder but to no help. Say a folder named "Backup" was my main folder and "sony" was another folder. I had moved pictures from Sony to Backup folder by making subfolders. Now, when I tried to synchronize or import again, it didn't allow me as pictures under previous "sony" folder were already present in the catalog and while doing "show in finder", it located to older (non non-existent) folder "Sony" with question mark. So, something is not right with the LR. I use the latest LR Classic CC 8.1. 1. Remove the whole folders "Backup" and "Sony" from the Library. 2. Import "Backup" folder again. So, once you rearrange or reshuffle the folder/subfolder, you get into this issue.